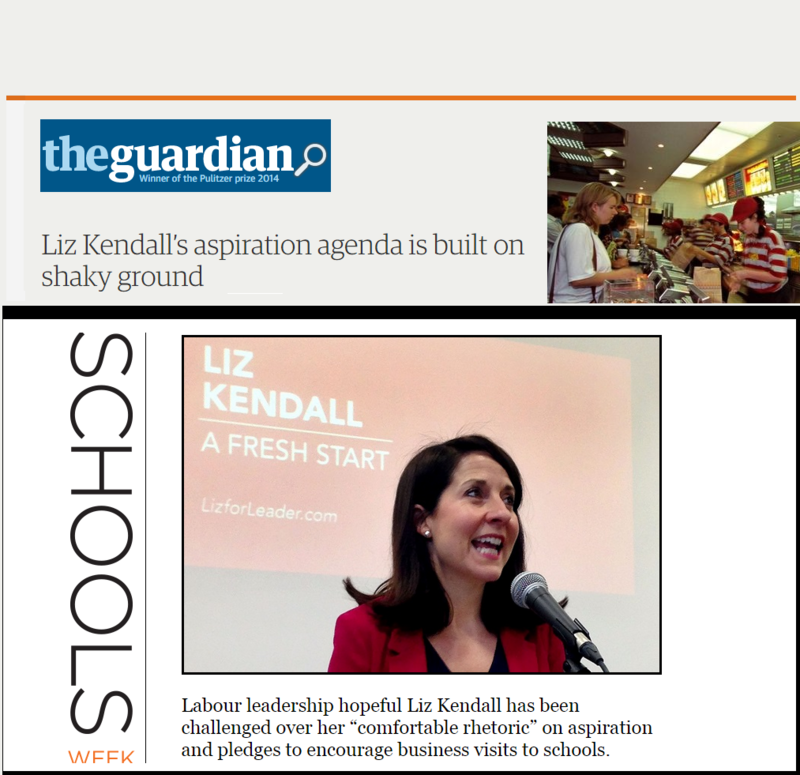 The rhetoric of ‘aspirations’ has been around for many years but a speech by prospective Labour leader, Liz Kendall last week brought it back to centre stage. 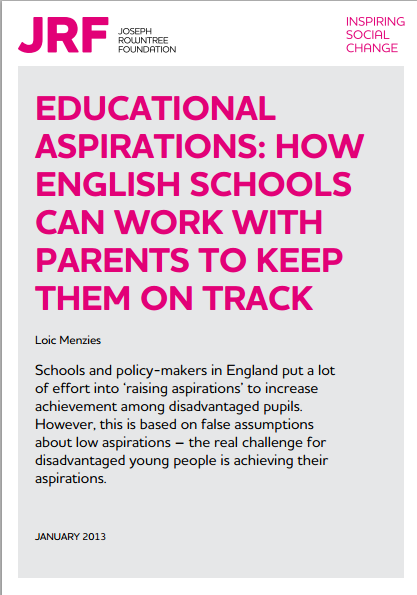 Having written extensively on this topic in the past, Loic Menzies responded by setting out why Kendall should steer clear of the ‘raising aspirations’ rhetoric in both The Guardian and Schools Week. Kendall’s full speech also covered several issues with far more potential for improving disadvantaged young people’s lives and hopefully in future she will avoid the unhelpful distraction of ‘inspirational school visits’ and focus on the core issues. 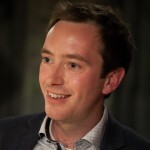 You can read Loic Menzies‘ full Joseph Rowntree Foundation report on the issue here.